You Can’t Beat The Heat Of A PackTite! NJ pest control experts report that all stages of bed bugs reach certain death when they are subjected to temperatures over 113 degrees. 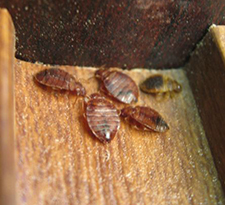 Stern Environmental Group offers the perfect solution to killing bed bugs on personal property. The PackTite Portable Bed Bug Killing Heat Chamber is available in small and large sizes. Use the small one for killing bed bugs and their eggs in backpacks, luggage, blankets, coats, toys, or other sensitive items. The University of Nebraska-Lincoln recently underwent a massive bed bug infestation problem in many of their student dorm facilities. It has been reported that they spent over $300,000 ridding the campus of the bloodsucking pests by utilizing several bed bug sniffing dogs and heat treatment. Not wanting to have bed bugs plague the facilities again, the University bought eight PackTite units that will be used to treat luggage, backpacks, and other small items that are brought in by students who have gone home for weekends and holidays as well as incoming students. The PackTite Portable Bed Bug Killing Heat Chamber is an invaluable tool in helping curtail bed bug infestations. Hotels will benefit from having a unit on site. If a guest happens to find bed bugs in their room, the hotel can kill any bed bugs that have hitched a ride in their luggage or personal belongings in a matter of hours, causing minimal disruption to the guest. The PackTite Closet is a perfect solution for hotels as its larger size allows for more air and heat circulation. Any bed bugs or their eggs will not stand a chance in this unit when the temperature reaches 120 to 140 degrees. It has been proven to kill all bed bugs, in all life stages, in just two hours! You can find both the large and small size PackTite Portable Bed Bug Killing Heat Chamber at Stern Environmental Group. The dog handlers have said that they do attempt to use a second dog when the first dog is a positive hit for bed bugs. They have not however taken the time to do a visual inspection for the bed bugs themselves, which is recommended whenever possible. What makes the UNL bed bug problem different is that other college campuses that have had bed bugs only have had infestations in five dorm rooms. Having a college with 94 infested dorm rooms (and counting) is astronomical by comparison! There are 3,256 dorm rooms on the entire campus. As the numbers are averaging out now, there will be on average 376 dorm rooms that will be infested. The University’s position on the bed bug outbreak is amazing. A spokeswoman said that despite the false positives “the responsible thing to do is to treat the room anyway,” Bartling said. “What’s the alternative? Nobody wants anybody to get bedbug bites. The strategy is to get ahead of them and identify them before they start biting.” You may read the article here. Although considered to be a fairly new tool to pest control professionals, bed bug sniffing dogs are considered to be very fast and accurate at detecting bed bugs in all types of environments. Like other working dogs, bed bug sniffing dogs train for many months prior to working with their eventual handler. They become certified only after passing rigorous tests. For a bed bug sniffing dog, every day is a work day as they must find bed bugs as a means of working for their food. The University has vowed to search each of the campus housing units for bed bugs. Reports are that they are a quarter of a way through their search. It will be interesting to see how many rooms end up being infested with bed bugs. Update: Additional information just reported…there are now 124 dorm rooms that have positive hits for bed bugs by the bed bug sniffing dogs at the campus!